Ideal for applications where abrasion-resistant or high-strength is required. Excellent dust cake release even under moist, humid conditions. 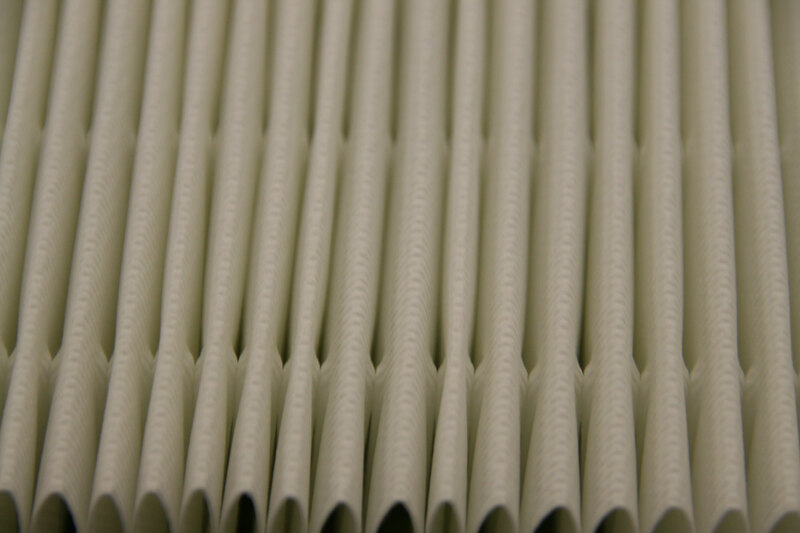 The “dual dimple” pleat design improves overall performance and service life of the spunbond media. Spunbond does not permit particles to become embedded; the pleats are spaced further apart, making pulse cleaning more effective. Spunbond media is really tough and rugged making it a better choice for applications such as powder coating. Washable media allowing the cartridge to be reusable many times over. All the features of the 100% spunbond media. Treated with a fluorocarbon bath that provides an oil and water repellant to both inside and outside the surface media. Micro-thin aluminum conductive surface helps dissipate static build-up. 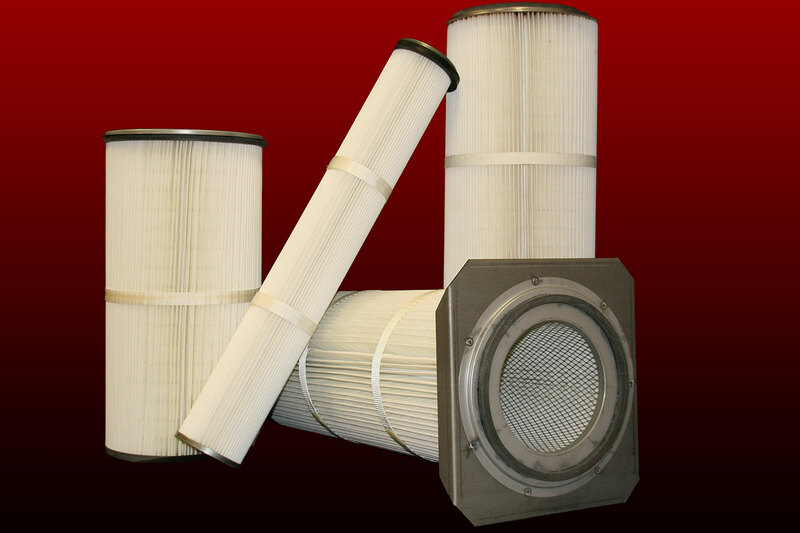 Very high filtration efficiencies on fine particulate and superior dust release characteristics. 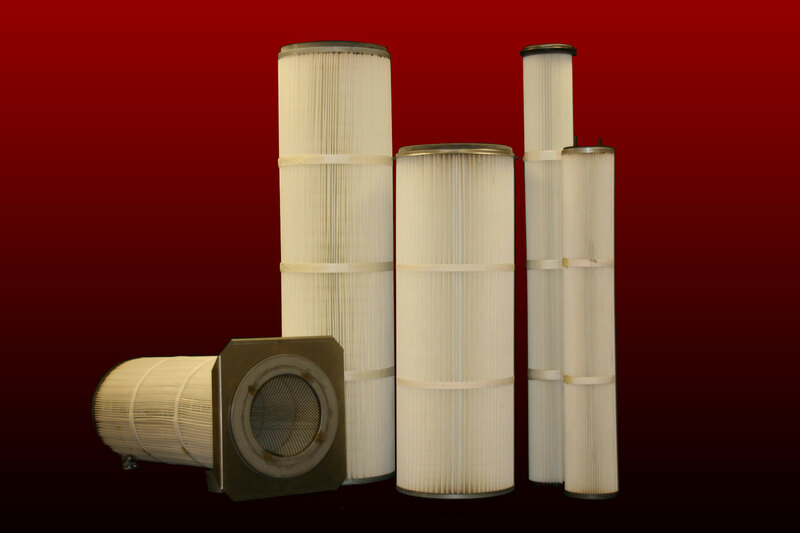 PTFE membrane on the spunbond provides high initial efficiency on sub-micron particles (99.9% efficiency). Maddocks offers a dimple open pleat design. 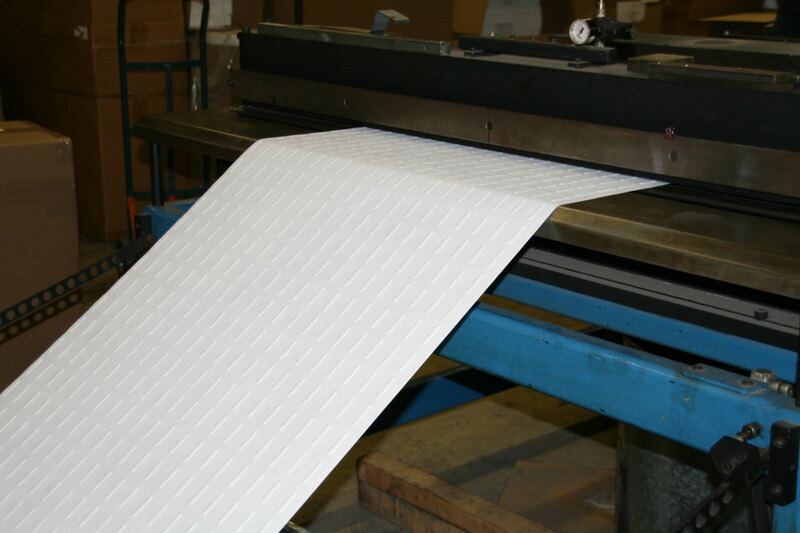 This superior pleating technology improves the overall performance and service life of spunbond polyester media, even under heavy dust loading. The open pleat design or dimple pleat keeps the pleat sides apart while in operation, even under high pressure differential conditions. The feature eliminates the common problem of pleat collapse or ballooning and severely restricting air flow at that point. The open pleat construction allows for positive discharge of the dust cake on the cleaning cycle, avoiding the possibility of pleat packing and collected particulate.